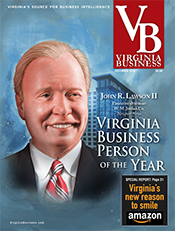 Now that NoVa is getting half of Amazon Inc.’s second corporate headquarters, state and local economic development officials and commercial real estate leaders are turning their efforts to implementation. Most people still haven’t come down, though, from the emotional high of winning one of the most sought-after corporate projects of the 21st century. The deal, which wasn’t finalized until less than 24 hours before it was announced on Nov. 13, has Amazon investing $2.5 billion in a 4 million-square-foot campus in Arlington County and Alexandria that’s expected to create 25,000 high-paying jobs over 12 years. The Long Island City area of Queens in New York landed the other half of the much-coveted project that came to be known as Amazon HQ2. The split decision for the project, which promised 50,000 jobs, came to light late in a site-search saga that lasted for more than a year. The search prompted frenzied speculation and a bidding war among 238 cities across North America. Northern Virginia’s proposal had included four sites. Now that the location has been picked, officials are focusing on making the deal happen. “The real work is about to start. The real estate, the move in. 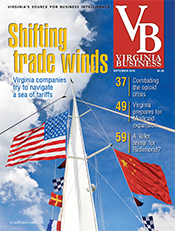 There’s a lot of work ahead of us,” says Stephanie Landrum, president and CEO of the Alexandria Economic Development Partnership. Amazon’s headquarters will be housed at National Landing, a newly branded site that includes Crystal City and the eastern portion of Pentagon City in Arlington and the northern piece of Potomac Yard in Alexandria. In the first phase of what’s expected to be a 20-year project that could morph into 8 million square feet, the Seattle based e-commerce and cloud-computing giant will lease 500,000 square feet of existing space in Crystal City and Pentagon City from JBG Smith, a Chevy Chase, Md-based commercial real estate firm. According to JBG Smith, Amazon also plans to buy two sites, Pen Place and Met 6, 7, 8 land, for the construction of new buildings. JBG Smith owns 6.2 million square feet of existing office space and 7.4 million square feet of future development sites in National Landing. Situated across the Potomac River from Washington, D.C., it’s considered one of the region’s best-located, urban mixed-use communities. 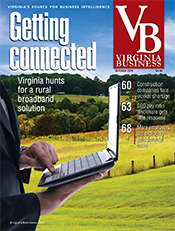 Business and state leaders say the win boosts NoVa’s national profile as an East Coast hub for technology. The project also is prompting strategic public-education investments to turn out more computer-savvy graduates who will benefit not only Amazon but other companies in the years ahead. 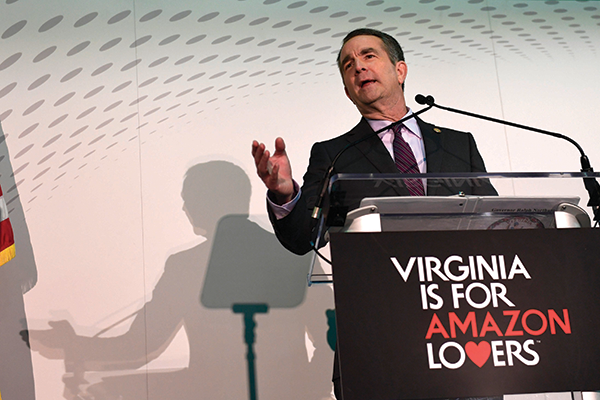 In fact, expanding Virginia’s tech talent pipeline in computer science was one of the hallmarks of Virginia’s Amazon proposal. 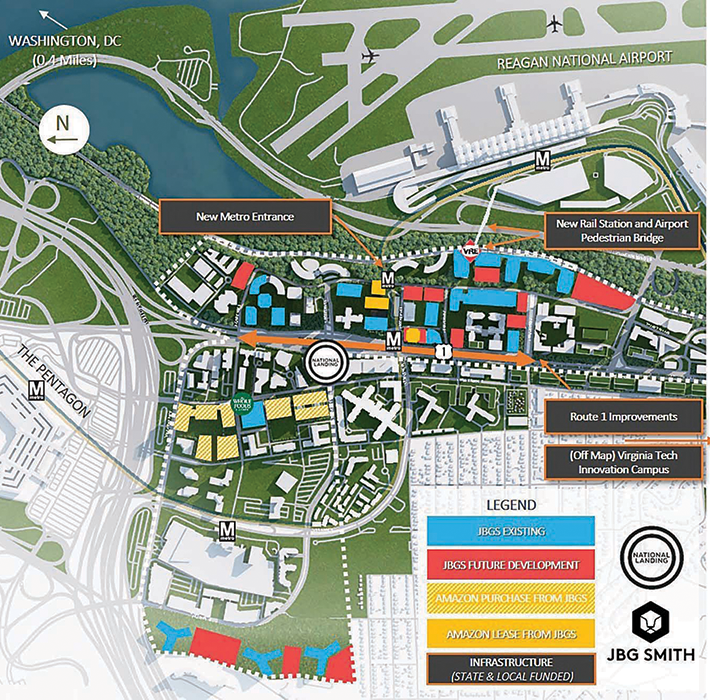 While the company’s headquarters will anchor the north end of National Landing, a $1 billion Virginia Tech Innovation Campus will anchor the south end in Potomac Yard. Virginia Tech and the state have agreed to pay $250 million each to help fund what would function as a new graduate campus to develop high-tech talent in the region. Much of the rest of the money is expected to come from private philanthropy and industry partnerships. That project is part of a long-term investment of more than $1 billion in public education by Virginia. That includes up to $710 million to double the annual number of graduates with bachelor’s and master’s degrees in computer science and related fields, ultimately yielding 25,000 to 35,000 additional graduates above current levels during the next two decades. As part of this effort, George Mason University would get $125 million for an expansion of its campus in Arlington. The package also includes $25 million for technical education in K-12 schools and $25 million for a higher education internship program. Amazon has said that its investment and job creation should produce more than $3.2 billion in new state general-fund revenues during the next 20 years. In return, Amazon will receive performance-based direct incentives of $573 million based on the company creating 25,000 jobs with an average pay of more than $150,000 over the next two decades. This includes a workforce cash grant from the commonwealth of up to $550 million based on $22,000 for each job created. Amazon would receive the incentive only if it meets the projected employment goals. This must be approved by the General Assembly. 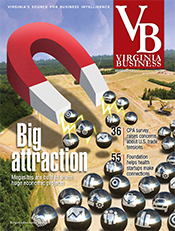 To woo Amazon, Virginia also offered $195 million in transportation projects to improve mobility in Northern Virginia. In addition, Arlington and Alexandria plan to fund more than $570 million in transportation projects, including rail connections and transit facilities serving the site. The quest to land Amazon involved hundreds of people working collaboratively across the state. 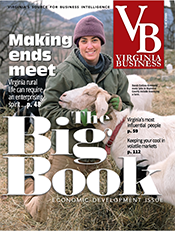 Stephen Moret, president and CEO of the Virginia Economic Development Partnership, lauded the cooperative efforts, saying it laid the groundwork for Virginia’s successful bid. 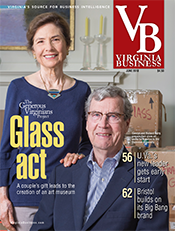 State Sen. Frank Ruff, R-Mecklenburg County, said winning Amazon’s headquarters is “a significant accomplishment for Virginia and its technology sector. 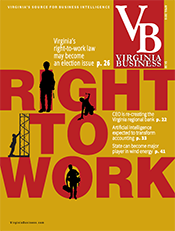 The jobs might be in Northern Virginia, but the revenues that will come are going to help us finance education, public safety, mental health, all the important issues.” Ruff is chairman of the General Assembly’s Major Employment and Investment Project Approval Commission, which reviews and approves major state incentive packages. 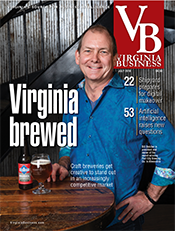 From the start, Northern Virginia was considered a top contender for HQ2 because of its deep pool of tech talent. According to Cushman & Wakefield’s 2018 Tech Cities report, the metro D.C. region has 327,273 tech workers, second only to New York with 491,419. 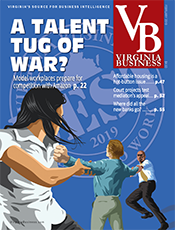 With an office market of more than 300 million square feet that in recent years has seen higher-than-normal vacancies as a result of the federal budget cuts, it also has enough space to absorb a large headquarters. 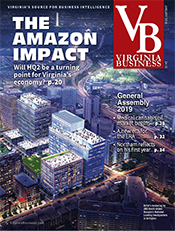 Amazon already employs more than 2,000 people in Northern Virginia in technical and corporate jobs, and it has nearly 100 data centers in Loudoun County that are either on the ground, being constructed or in the planning stages. In addition, Amazon is locating the East Coast campus for its cloud-computing service, Amazon Web Services, in Fairfax County. While the company is best known as the world’s largest online retailer, the fast-growing cloud-computing division generated $1.6 billion, or 55 percent, of the company’s third-quarter operating income of $3.7 billion. Besides transportation improvements, Arlington and Alexandria also have committed to fund affordable housing, workforce housing and public infrastructure, relying on revenues generated from Amazon’s presence in their communities. Combined, the localities project annual investments of more than $15 million during the next decade, resulting in the creation and preservation of 2,500 to 3,000 units in and around the Crystal City, Pentagon City and Columbia Pike areas and throughout Alexandria. National Landing checks off many requirements Amazon had in a second headquarters, namely an urban site with access to public transit that’s close to an airport. The area is within walking distance of Ronald Reagan Washington National Airport. It has three Metro stations and a commuter rail station. Plus, Crystal City’s proximity to the Pentagon is seen as a plus at a time when Amazon’s cloud computing unit is vying for billion-dollar federal defense and intelligence contracts. 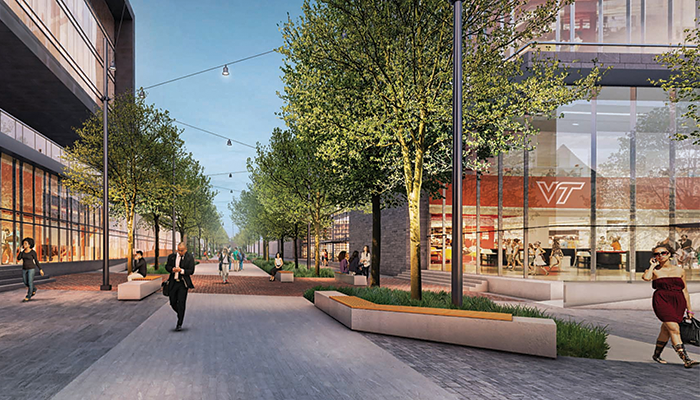 Recently, Arlington approved major upgrades to Crystal City’s commercial center, Crystal Square. JBG Smith plans a new four-story retail building anchored by an Alamo Drafthouse Cinema and a specialty grocery store. The company already has tried to punch up the area’s drab public exteriors by covering some office high-rises with colorful building wraps. Crystal City offers 8.6 million square feet of rentable space and has a vacancy rate of 20 percent. Amazon’s site selection sweepstakes began on Sept. 7, 2017. That’s when the company issued a request for proposals (RFP) inviting cities in North America to respond with bids. The deadline for submitting proposals for what came to be called HQ2 was Oct. 19. The process drew proposals from 238 localities across the U.S., Mexico and Canada. Bezos said at the time that its second headquarters campus would be “a full equal” to the company’s global headquarters campus in Seattle. That campus employs about 45,000 people in 33 buildings and is still growing. According to Amazon, the company has had an indirect impact of $38 billion in additional investment on Seattle’s economy. Yet, some residents there have been critical of the company, saying its presence has driven up housing prices and swamped the city’s infrastructure. To win the headquarters, some states such as Maryland and New Jersey reportedly each offered economic incentive packages of more than $5 billion. Following the open call, though, the quest to win HQ2 was shrouded in secrecy. 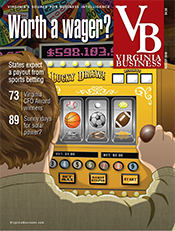 Until November’s announcement, most states, including Virginia, refused to disclose what incentive offers had been made for fear of tipping their hand to the competition. Nor would they make public what sites were being offered, in part because state officials and developers had signed nondisclosure agreements with Amazon. Groups opposed to having Amazon’s second headquarters in the D.C. area didn’t take kindly to being kept in the dark about what was being offered to a company headed by the world’s richest man. Bezos took the top spot this year on Forbes magazine’s annual list of America’s wealthiest people with an estimated net worth of $160 billion. Our Revolution Arlington and DSA NOVA are working to make sure Amazon pays its fair share of the deal. That includes providing enough money for infrastructure improvements across the entire region and ensuring enough money for affordable housing. Some residents also are worried that housing prices will spike, much like what happened in Seattle. While the Northern Virginia suburbs have some of the highest median household incomes in the country, they also boast some of the most expensive home prices. During the third quarter, the median price for a single-family home in Arlington was $855,000, according to a market report from the Long & Foster Cos. The median price for a townhome came in at $565,950, and buyers could expect to pay $360,000 for a condo or co-op.